It is 2010 and the Chinese Zodiac describes it as the Year of the Golden Tiger. This February 14, 2010 begins it Sunday morning at 12 midnight and it will end on February 2, 2011. This is the first day of the Lunar New Year, the New Moon. By the way Happy Valentine’s Day, for they are one and the same. It is said that inviting the Golden Tiger into your home, one can capture his Qi for the coming year. Have a happy, prosperous and healthy New Year. The video we bring today is of Posture 13.) Carry Tiger to Mountain. • Turning on the weighted foot requires a solid structure on the turning side of the body. • Any flexion weakens the move and may cause discomfort in the knee joint. • Make certain to lift the toe to allow smooth pivoting on the heel. • If carried out correctly, one will sense the power in this movement. Using too much force are we? Push hands is not "Trench Warfare", here's a couple of experiments to show the dangers inherent in using too much force, too much resistance, too much rigidity, etc. 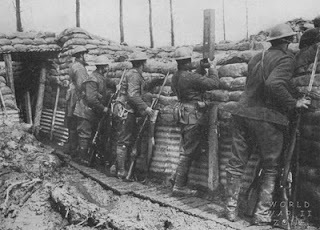 I think overall however what is implicit in the experiments is that trying push hands before internal discipline becomes 2nd nature will frequently result in trench warfare. A student of mine recently told me that he attempted an "experiment" using the Ward Off movement that I have shown him. He stated he had a much larger person push against his arm but also states that he was pushed back. I should state that I have shown Ward Off to my students while they pushed on my outstretched arm. Each time I demonstrate, I reiterate that my arm is not rigid and that I am using a minimum force necessary to ward off their push. Often, students will push "off center" on my arm and I still continue to ward them off but point out that I am redirecting their push. In other words, I am being discriminating in the amount of force that I use. I think the use of an image to explain this might be of help here. Take an air filled ball and float it in some water, now try to sink the ball by pressing down on it from the top. The ball does not push back with a rigid force, yet it supports your press. If you press off center on the ball however, it rotates and your arm goes lurching forward and to the side. This is what I mean by "off center" push and redirecting the opponents force. By saying that my arm is not "rigid", I mean that it is not stiffened up to any degree. The student cannot remember whether he stiffened up his arm but my guess is that is what happened. Pushing slightly on his outstretched arm I see this happening myself. I would recommend to any student to try an experiment that Master Hwa has recommended in Forum 11, previously: "Try to press the back of your hand against a door frame, just like you are blocking an opponent's arm. Do you find that one side of your forearm muscle is energized while the other side muscle is relaxed?" Please take the time to click this link I call "Door Jam" experiment , read the results and it is the very first article . I think it gives good insight into why the student got "pushed around".